Overview… sheriff of the small-town of Barrow, Alaska. Normally the job is pretty quiet, but it’s always a tough month when they experience their annual 30 days of night, a month-long period of uninterrupted darkness. Normally it’s just depression and boredom that plague the town, but this year Eben faces a much deadlier threat: vampires. The constant darkness offers the immortal bloodsuckers a chance to hunt uninterrupted for an entire month. They’re intent on killing and draining every citizen of Barrow. 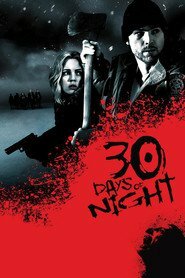 Eben soon finds himself leading a small group of survivors through the frigid and lethal 30 days of night. Personality… tough, brave, and selfless. Eben has dedicated his entire life to protecting Barrow, and is outraged at the vampire massacre of its citizens. He’s determined to ensure that his wife, Stella, and the rest of his small group of survivors makes it through the month. He’ll do anything to keep them safe. Eben Oleson's popularity ranking on CharacTour is #4273 out of 5,000+ characters. See our top-ranked characters and read their profiles.